Leadership is a process in which an individual influences the behavior and attitudes of other people. Leading by example helps other people see what lies ahead and act swiftly to counter any challenges along the way. If a group is led by a person with poor leadership skills, the group will experience frequent conflicts as each person wants to do things their way. One of the responsibilities of a leader is to inspire other people to do the best that they can do for the benefit of the organization. To achieve this, the leader must show them the way by getting involved in the process – leading by example. For example, a CEOCEOA CEO, short for Chief Executive Officer, is the highest-ranking individual in a company or organization. The CEO is responsible for the overall success of an organization and for making top-level managerial decisions. Read a job description may discourage unnecessary spendingFixed and Variable CostsFixed and variable costs are important in management accounting and financial analysis. Fixed costs do not change with increases/decreases in units of production volume, while variable costs are solely dependent on the volume of units of production. This guide teaches an analyst the fixed vs variable cost methods among employees to improve the business revenuesSales RevenueSales revenue is the starting point of the income statement. Sales or revenue is the money earned from the company providing its goods or services, income. However, if the CEO changes his office furniture frequently, the employees will not take him seriously, and they will continue with the spending. But if the CEO stops unnecessary expenditure in his own office and works toward maximizing revenues, the employees will often follow suit. Sometimes, a leader may get too busy giving directives and managing the team, so that they forget to listen to other leaders and even their followers. A good leader should understand that they do not know everything and that they can learn something new from the most junior employee. Also, most organizations hire staff based on their expertise and experience in specific fields, and the leader should learn to interact and listen to all employees. For example, if the manager is an expert in investments, they may need someone from the accounting or marketing department to advise them on some issues. Organizations implement an organizational structure so that each person in the company knows who to report to if there are challenges in a particular department. If a leader fails to observe these chains of command, there will be confusion in the organization and the employees will be demoralized. Also, if the leader does not respect the chain of command, the employees will find it hard to report to their seniors, and this will cause disharmony among the employees. Although leaders are meant to give directions, they should know their trades well and get involved in the actual work. For example, a leader can be leading by example by accompanying the marketing team on a field visit to popularize the company’s products. The leader should pitch clients the same way the marketing staff is doing, and this will boost the overall morale of the team. Not only will the leader develop new skills and knowledge, but he will also build trust with the employees. Getting involved in the actual trade gives the leader a snapshot of the challenges that the marketing staff go through and help work out ways to make their work easier. Good leaders must deliver actual results rather than just giving promises every time. They must work toward getting tangible results and focus less on the past achievements that they have not been able to equal afterward. Leaders can accomplish this by learning the art of delegation, where they can break down large tasks into smaller manageable tasks that can be assigned to one or more employees. They can then follow up to check if the work was done according to the required standards. Delegating duties helps to achieve results within a short time while getting everybody involved. Conflicts often arise in organizations between employees, leaders versus leaders, or leaders versus employees. How quickly the conflicts are resolved determines how competent a leader is. A good leader should arbitrate when conflict arises to prevent the disagreements from stalling projects within the company. The employees should see that their leader has the heart and mind to embrace challenges so as not to break the organization. Appreciating the contribution of other people in an organization helps strengthen the relationship between the leader and the followers. The leader should exhibit good communication and listening skills such that no employees will feel inferior to other persons within the organization. Also, the leader should be honest, fair, and open to discussions that touch on the welfare of the employee. Valuing the contribution of employees in the organization enhances the leader’s ability to interact with people in a meaningful way. When a company’s executives do a good job of leading by example, the personnel will show more commitment to achieve the organizational goals. They will drop the “me” mentality and take up the “we” mentality and combine efforts to ensure they achieve the periodic targets. When a leader leads by example, it shows the employees that their bosses do not just sit and watch them build a business for them, but they also get their own hands dirty. A leader who leads by example positions himself as a credible person who deserves to be respected and trusted by the seniors and juniors. The staff sees the leader as a person who understands their plight, rather than as a person who only gives instructions. They appreciate what the leader does, and work toward helping the leader achieve the organization’s goals. The actions of a leader serve as an unspoken standard of what is appropriate for the organization and what is not. The personnel observe the behavior of their leader and use it as a benchmark in deciding how to present themselves. For example, if the leader loves to work until late in the night, the employees will also try and work until late in the night so as not to be seen as inadequate. Similarly, if the leader prefers to wear suits during the weekdays and casual wear on Saturday, the employees will copy the leader’s lifestyle and dress in a similar manner. 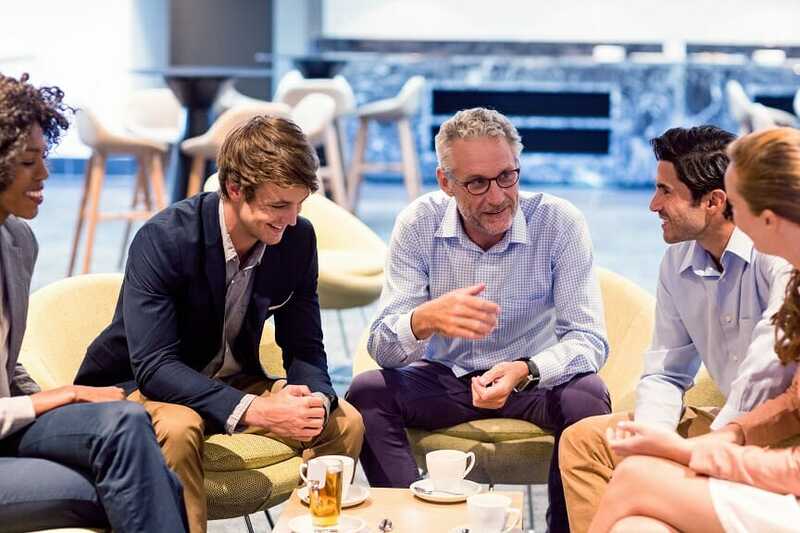 Networking and Building Relationships within the CompanyNetworking and Building Relationships (Part 1)This article is part of a series of useful tips to help you find success in networking within your company. Networking plays an important part in our professional lives, starting from our job search, contiuing to joining and working in a company, and finally, advancing our careers.